A wheels guide for those looking for that ultimate look. A nice set of wheels can make your car stand out in a crowd. Add to this some of the benefits to handling and it’s easy to see why this modification is one of the most popular to carry out. Now again, it’s always easy to go over board and buy the largest wheels you can afford, however doing so may actually cause more problems than it’s worth. 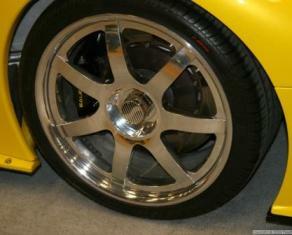 They must have the correct offset and fit in your cars arches comfortably. 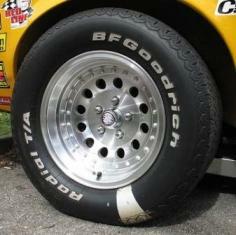 If you are prepared to modify your body work and setup your suspension correctly then much larger wheels can be fitted. Remember you can actually harm your handling by fitting the wrong wheels on your car. 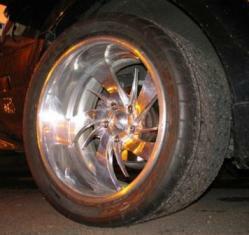 Most wheels designed with performance in mind are made from aluminium, this reduces the weight and heat. Wheels are normally measured in inches such as 15-6-J. the 15 stands for the diameter of the wheel from one inside lip across to the other. 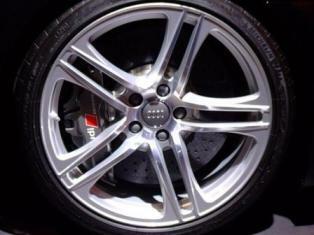 The 6 stands for the width from the inside back of the wheel to the outside front of the wheel. The J stands for the rim shape. 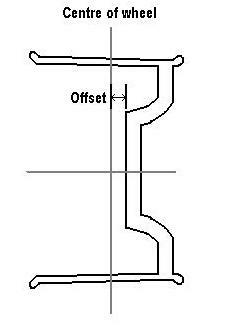 Offset is the distance between the hub mounting point and the centre point of the wheel. Zero Offset – The hub mounting point is in the centre-line of the wheel. Positive Offset – The hub mounting point is more toward the front of the wheel’s centre-line. 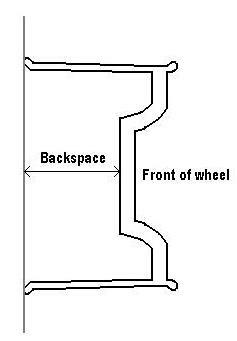 Negative Offset – The hub mounting point is more toward the back of the wheel’s centre-line. The offset is usually stamped on the wheel and will be shown like “ET50”, which means it has an offset of 50mm (millimeters). Back spacing is the distance from the back of the wheel lip to the hub mounting point, so if you have an 8 inch wide wheel with a 4 inch back space the hub mounting point is in the centre of the wheel (zero offset). Note: that the overall wheel width is normally measured from one inside lip to the other. There are numerous bolt patterns, basically most cars have 4 or 5 bolts, so will be known as a 4 bolt pattern or 5 bolt pattern. The PCD (pitch circle diameter) is calculated by measuring the distance between 2 diagonally opposite bolts (studs). Take a look at the diagram above. You will need to put wheels on with the correct PCD to get them to fit. You can get wheels with so called universal stub patterns and PCD’s, but we wouldn’t consider them to be honest. 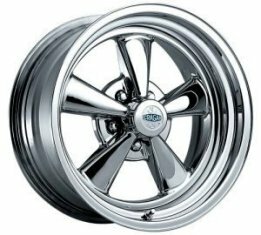 There are a ton of aftermarket wheels out there and the costs vary from cheap second hand ones to some that cost as much as a good second hand car. Factor in a set of decent tyres and you can spend quite a bit. (See our tyre guide). 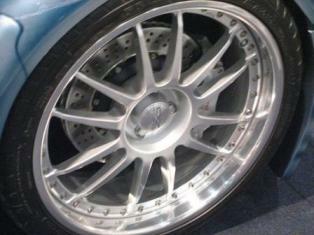 Cast in one piece, most standard alloy wheels are of the cast type. Modular wheels have a front and rear half that is riveted or welded together and often a centre section (3 piece modular). 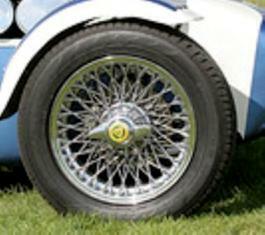 Composite wheels have a rim with a welded in cast centre piece. 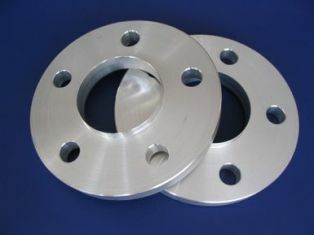 Billet wheels have a rim with a welded in aluminium centre that has been machined out of a solid bit of aluminium. Popular with hot rodders and muscle cars owners. Not to be confused with lattice wheels that look similar to wire wheels, but are cast with thicker over laced spokes. Wire wheels however are made up of individual spokes (steel) that are inserted and attached to the rim with a nut, they follow a set pattern that gives it strength and structure. Before going out looking for a nice set of wheels, see if you can find a picture of one or of a similar style on your make of car. You may end up spending lots of money on something you thought was nice but looks rubbish on your car. There are many second hand wheels available with people swapping and changing their minds – grab a bargain, we recently picked up a set of 4 excellent condition 16″ alloys for our daily driver with near new quality sports tyres on them for £110 all in. Looks like someone got carried away! When going up in wheel diameter size, you will hear the terms +1, +2 etc. this basically means that if you have 15” wheels and you go for 16” wheels, that is +1, if you go for 17” wheels, that’s +2 and so on. Of course going up in diameter will require lower profile tyres or your speedo will be inaccurate. When going wider be aware that you could potentially be placing more stress and strain on your wheel studs and bearings, as well as increasing the unsprung weight. You may also scrub against the wheel arches and therefore require wider arches, either by cutting in wider ones or flaring/rolling them. You should ideally stick as close to your cars original offset to avoid handling problems and undue stress to other components. One other thing to watch out for, is that the wheels centre hole may be different to yours and require a centre spigot ring to fit your hub. See more info about what to watch out for below. Keep those wheels safe from thieves, get a set of locking wheel nuts. Wheel spacers move your existing wheels out further. In all honesty we find the thought of driving around with an extra bit of metal between the hub and wheel a little unnerving. 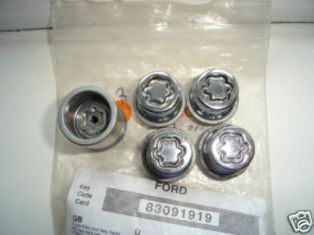 You can get longer stud bolts, but the truth is they really do nothing for your cars handling, as well as just place extra stress on the bolts etc by pushing the wheels further along the length of the bolt. We would avoid going too wide with these. However they can be useful for any minor brake/suspension clearance issues. Alternatively you can buy bolt-on hub centric spacers, that have studs built into them and bolt onto your existing hub and essentially extend your hub, pushing your wheels further out, which is a better and safer option. None standard/aftermarket wheels may have a different centre hub bore size and therefore require you to buy spigot rings to fit them properly. The wheels you choose are very much a personal preference. However try to stick as close to the original overall combined size for the original wheel and tyre. Don’t go too mad with any size increases, unless you’re prepared to sort out other modifications to your suspension geometry and/or body modifications. Make sure it’s a proper fit for your car. 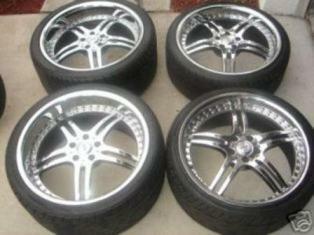 Additionally why not consider just refurbishing your old wheels, may work out cheaper?